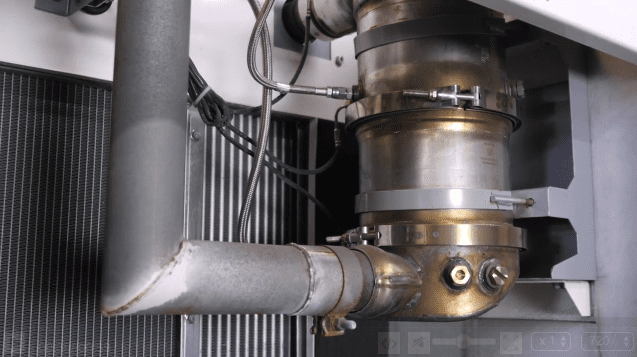 Home / What is a Generator DPF? What is a Generator Diesel Particulate Filter? The diesel particulate filter (DFP) is an aftermarket component used to lower the admission (output admission) of the diesel engine. A lot of times this is required by an air resource board in your local district. It’s an important component because it is lowering the admission level/output level of that generator which required for you to be able to use it in certain air districts. The diesel particulate filter is not required on all generators. It is strictly part of the air resource board’s requirements to try and lower the emission levels of a particular diesel generator. You can’t put this on your existing generator if your current level admission is over the allowance by the AQMD.